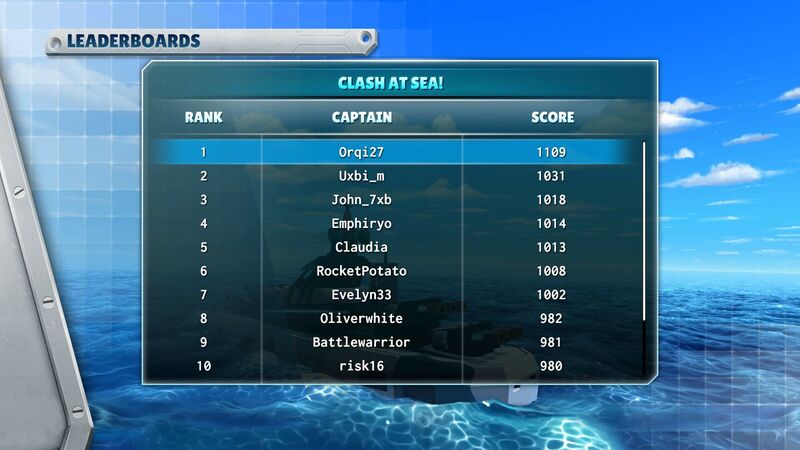 Deploy your fleet and shoot at your opponent’s grid to find and destroy enemy ships before yours are sunk. With a modern, dynamic, and interactive 3D board, Battleship® brings the classic franchise to a new level for a memorable experience on PlayStation®4 system and Xbox One. Deploy your fleet and shoot at your opponent’s grid to find and destroy enemy ships before yours are sunk. Enjoy the game you know and love with the Classic Mode or get more tactical in a brand-new way to play: the Clash at Sea! Mode. Play with a friend locally or online, or stand against the artificial intelligence of the game. 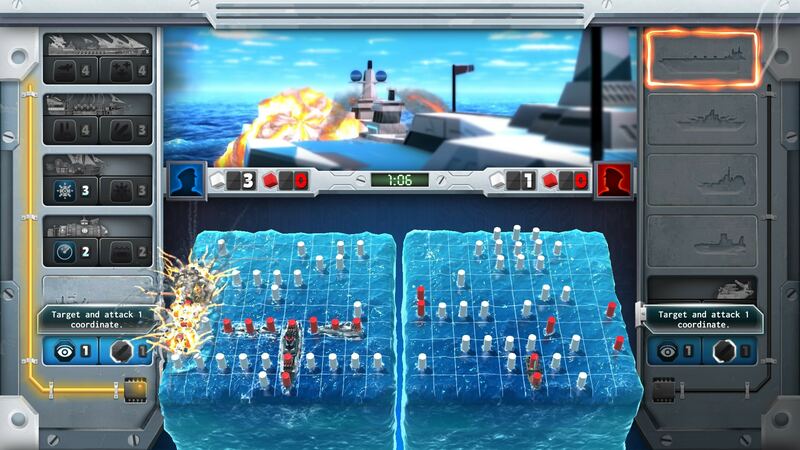 Play Battleship® the way you know and love. Position five ships on your grid, and each round, decide where to shoot the enemy grid to destroy your opponent’s fleet before yours is sunk. 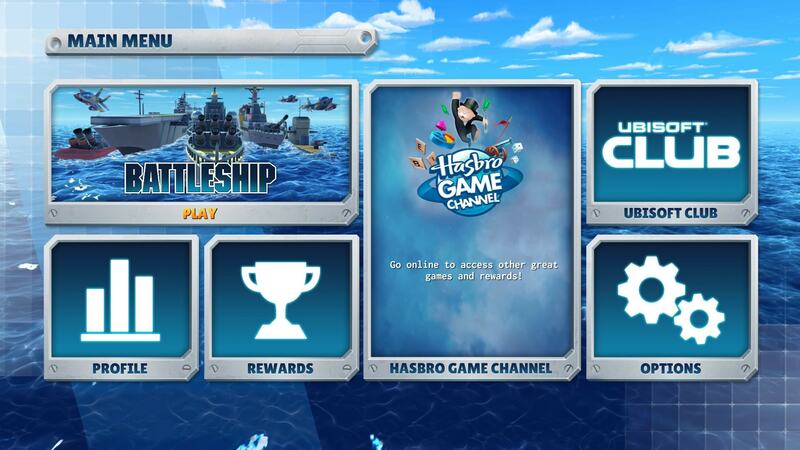 Challenge yourself with a brand-new way to play Battleship®. In this mode, each ship has abilities that you can use thanks to resources you earn as you play. Manage them wisely to win the game. 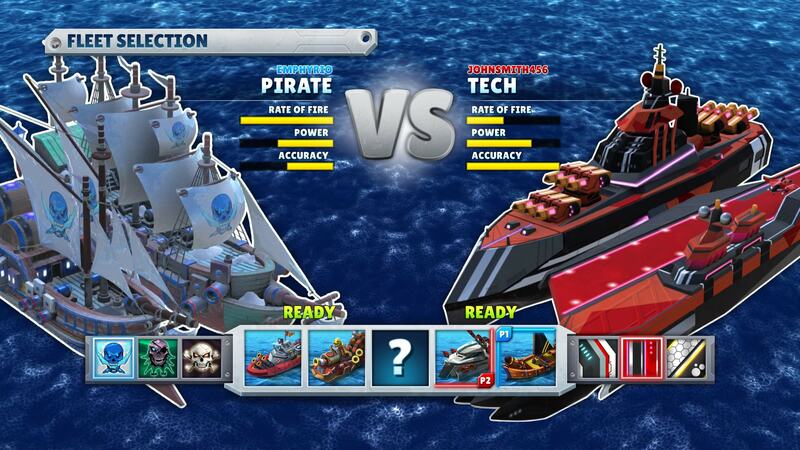 Hold head-to-head naval battles both with the Classic and the Clash at Sea! rules. Progress through dozens of missions and master all the subtleties of the Clash at Sea! mechanics within a storyline. Try to defeat the artificial intelligence of the game. Choose between the Clash at Sea! and the Classic modes and challenge your friends or other online players. Enjoy personalized fleets with unique abilities, cartoony designs, and fun animations for a more entertaining game experience! Users can follow the community thanks to a variety of social features like the leaderboard and trophies. A new update for Battleship on PS4 adds PlayLink support, letting each player use their own phone or tablet as a second screen and controller. BATTLESHIP is a trademark of Hasbro and is used with permission. © 2016 Hasbro. All Rights Reserved. Licensed by Hasbro to Ubisoft Entertainment. Game software © 2016 Ubisoft Entertainment. All Rights Reserved. Ubisoft and the Ubisoft logo are trademarks of Ubisoft Entertainment in the US and/or other countries. The “PS” Family logo is a registered trademark and “PS4” is a trademark of Sony Interactive Entertainment Inc.